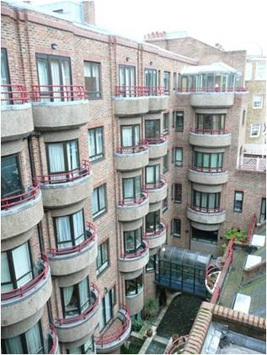 William Martin was instructed by the landed estate freeholder as designers and contract administrators for the external repairs and redecorations. This property comprised of 62 flats and 7 high end retail stores which required careful management and coordination to enable the works to be completed. This included a new asphalt roof, promenade tiles to balconies and pedestrian areas and fitting new M&E ventilation equipment.